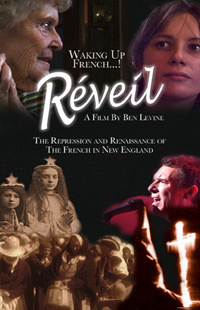 Purchase DVD copies of Réveil -Waking Up French and Si Je comprends bien (If I really understand) – the 1980 documentary about Quebec’s Quiet Revolution that preceded Réveil, are available to educational institutions, libraries, and for home use. You can also learn more at the Réveil-Waking Up French website. You can buy DVDs Online with your Credit Card or PayPal Account or print out and mail the manual order form (pdf).